The SF solid fuel, cast iron hot water boiler is a modern source of heat with a newly designed cast iron heat exchanger. The fuel used with the SF boiler can be coal, coke or wood. 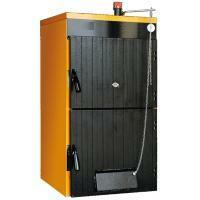 The boiler is suitable for central heating systems in flats and houses.